Traci Comer comes with extensive nonprofit experience. She has spent 16 years of in the human services field, specifically working with people with intellectual and developmental disabilities. She has worked for The Arc of Macomb County as an Adult Advocate and is currently working for Disability Network Oakland & Macomb (a CIL) as a Youth Transition Specialist. In her current role she provides information, educational services, trainings, resources, interventions and facilitation to youth with disabilities. 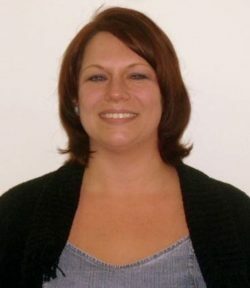 Traci has been working with Michigan Disability Rights Coalition (MDRC) through the Assistive Technology Project since 2008. She provides trainings, outreach and demonstrations to promote the use of technology to increase employment skills, educational opportunities, and increasing independence for people with disabilities. Traci has also been involved with the MCREST (Macomb County Rotating Emergency Shelter Team) since 2000 and is currently a co-coordinator for her local program. She also is a Trustee for the MISD Inter-Agency Transition Council, Macomb Academy school board member, a True Colors Facilitator, certified in Youth and Adult Mental Health First Aid, and a certified RELAX Trainer.